Dalat is not only famous for its wonderful climate condition but also for various types of gorgeous flowers blooming all year long. The climate and soil features of Dalat allow it to nurse several beautiful kinds of flowers which cannot grow up in anywhere else across Vietnam, such as Roses, Chrysanthemums, Gerberas, Carnations, etc. 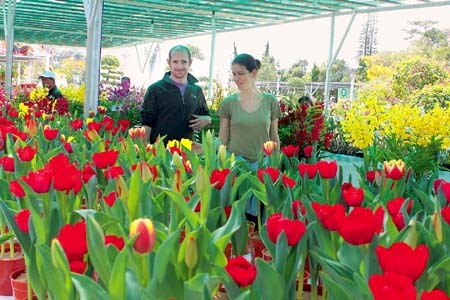 Van Thanh Flower Village is one of the oldest and large-scale flower villages in Dalat, the city of thousand flowers. People in the village spend their whole time day by day to take care of the flowers as if bring up their own children. This place was initially a human-less wasteland covered with myriads of trees and bushes. Since the 60s of the previous century, people from the North immigrated there, taking several land reclamations. They chose the most fertile areas of terraced terrain to grow vegetables and earn their livings. From the 70s, they transferred to plant some types of roses of various colors, such as pink, yellow and scarlet roses. 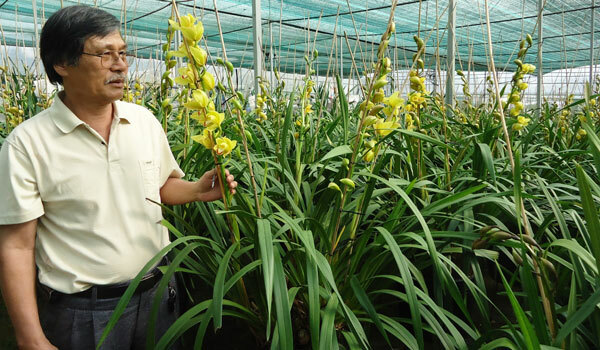 They first sold the flowers to Dalat locals and then introduced their products to domestic markets. Much more beautiful and colorful than the same ones from other areas, flowers from Van Thanh Village are especially favored in domestic and foreign markets. From specializing in Rose cultivation, people there have been growing some new species, such as Carnations, Chrysanthemums, Gladiolus, etc. 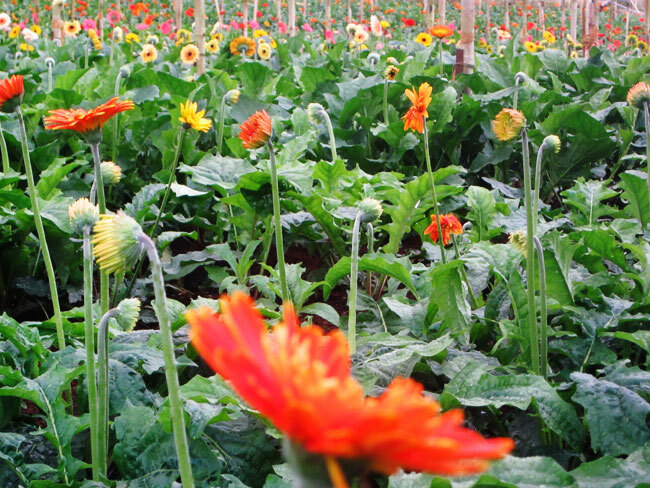 Today, the 200-hectare Van Thanh Flower Village of 50 years old is the home to nearly 300 growers. 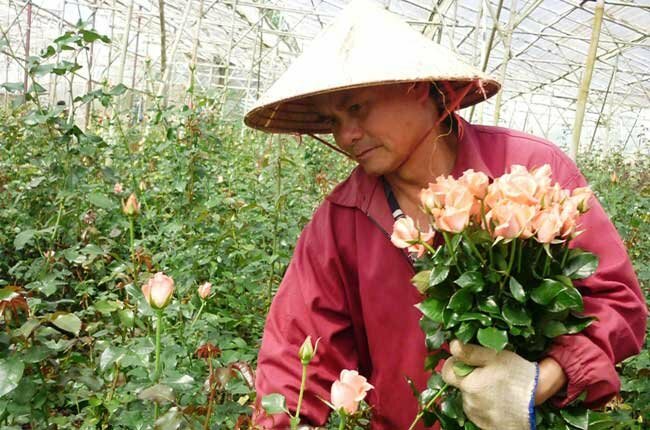 The growers have been applying advanced methods and techniques in transplanting and hybridizing rose types and have got initial success, such as fastening the blooming time of roses, harvesting faster, and creating more beautiful and less fading flowers. They have been also the first farmers experiencing the greenhouse technologies and growing flowers in greenhouses (Dutch Red Roses, Italian Red Roses, Gerberas from Europe, etc.). Especially, they have actively breeding varieties with flowers in water to produce new products, unique, distinct market. Until now the senior created several new floral species by cross-breeding imported flowers and domestic ones. 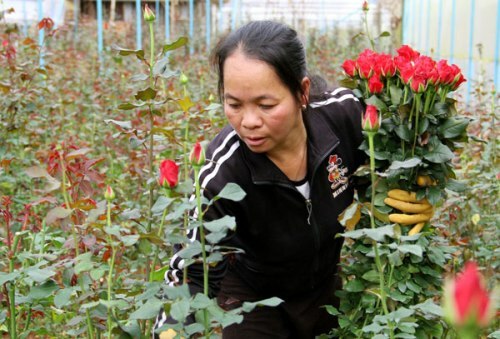 Roses, however, are still the chief products of Van Thanh Village and are fondly appreciated as the "Queen of Flowers". Thanks to the prestige of the village, local farmers' life quality has been greatly improved as well as more and more jobs have been created for both local residents and workers from other areas. Farmers' skills and qualifications have professionally enhanced in every process, from seed selection, soil preparation, fertilization, protection to harvest activities. There are currently some 600 fixed labors with an average age of 30 to 35 years old and more than 100 seasonal workers hired annually in the village. 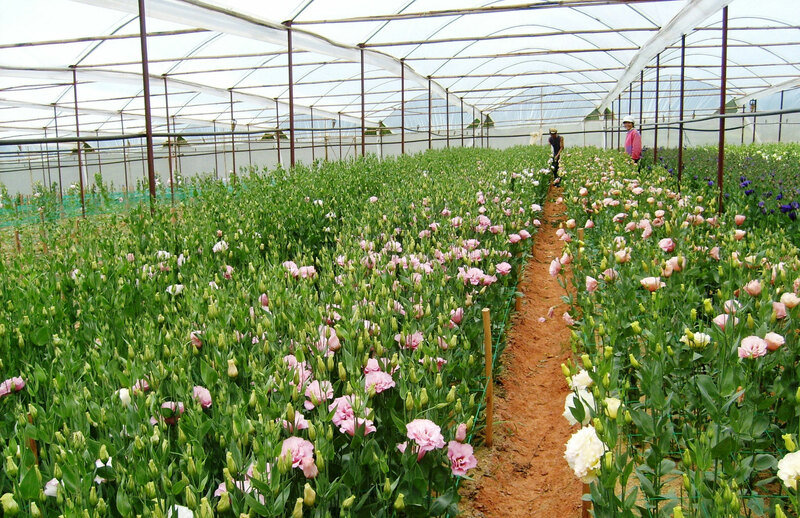 Gaining such success, the flower village of Van Thanh deserves to be one of the most successful traditional villages in Dalat with its long history and unique cultivation methods and techniques, contributing a great deal to the development in tourism, culture and economy of the city of Dalat.